Pros: The imaginative writing and inventive direction fit perfectly within The Bunker’s quirky space. Cons: When all points have been already made, the finale feels unnecessarily long. Every time I go to The Bunker I am amazed at its ability to assume, chameleon-like, the looks and character of the play being hosted. For this production, in partnership with the Hampstead Theatre, the versatile space is lined with a fleecy red carpet which covers the set, reaching the feet of the people in the first rows. In order to access the far side of the auditorium I had to walk over this soft carpet and feel, for an instant, the tingling sensation of being on the proscenium of a show about to commence. 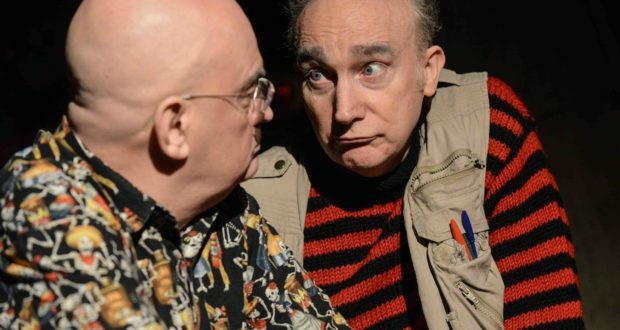 As a heartfelt tribute to the late theatre maverick Ken Campbell, the play opens in the 70s, when the debutant director starts conceiving the idea of a 24-hour long play to present at the Edinburgh Fringe. To set the scene, designer Tim Shortall immerses the audience in a bohemian lounge, where the enveloping smell of incense and psychedelic wallpaper are complemented with hanging lanterns and fabric Arabian stools. 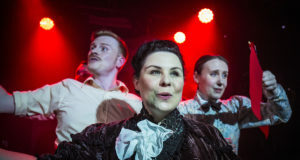 Narrator and playwright Terry Johnson introduces himself and his forthcoming tale with the earnest disclaimer that not all the facts he’s about to mention are true, and it becomes immediately clear that the line between reality and drama is too subtle to be discernible. Starring an outstanding Jeremy Stockwell in the role of Ken, the 90-minute two-hander recalls some of its namesake’s most infamous creative exploits, such as when he invited his cast to take all their clothes off before rehearsing a scene. Supported by Johnson’s sharp and imaginative lines, Stockwell offers a vivid portrayal of Ken, breathing life into the smallest corners of his eccentric appearance and personality. 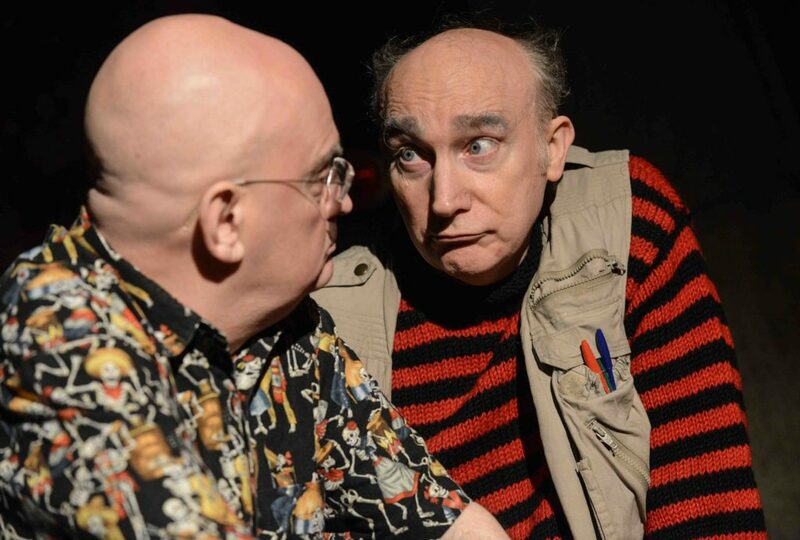 The affectionate writing and priceless comedic elements contribute to an exhilarating play, in which the performers aren’t afraid to ad lib when the laughter of the audience becomes too distracting to stick to the script. Each detail is enriched by unconventional analogies, which add to the comedy value; for example, Ken’s eyebrows described as “miniature yaks”. The language used is so inspired and beautifully constructed that I wished copies of the playtext were available, to fully savour all its nuances. 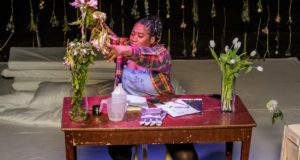 Lisa Spirling’s outgoing directorial touch allows Stockwell to roam free around the space, occasionally interacting with the audience and adding zest to a play that is mainly narrated. Thanks to this refreshing approach, Ken never stagnates and successfully keeps the spectators engaged, despite a string of closing scenes with a weaker sense of purpose. Saying goodbye to an old friend is certainly a painful deed, but being able to celebrate their lives with the grace and inventiveness shown by Terry Johnson is a remarkable stroke of genius.